Sometimes when a hole needs to be drilled through a floor or wall, it's useful to know where the drill will come out before drilling it. 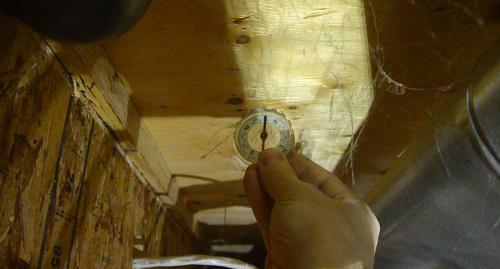 A magnet and compass is very useful for working out this sort of alignment. 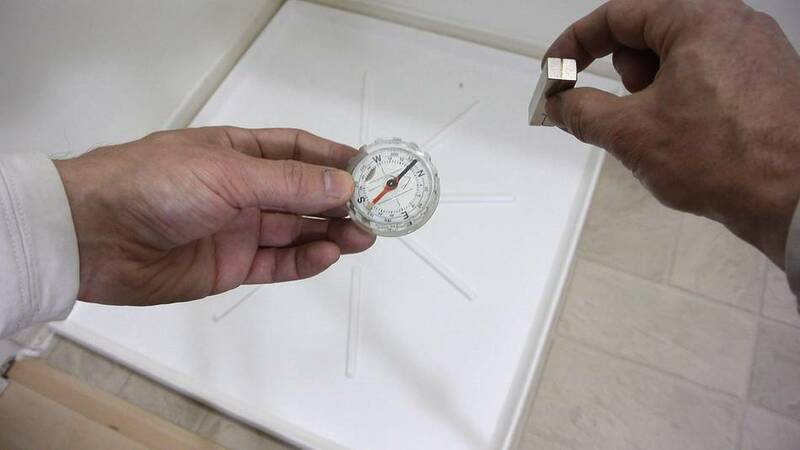 As long as the compass is near enough to the magnet, it will point at the magnet. The distance range is only limited by the size of the magnet. Note that this magnet is polarized with North-South on the large faces, not the ends like you would expect. 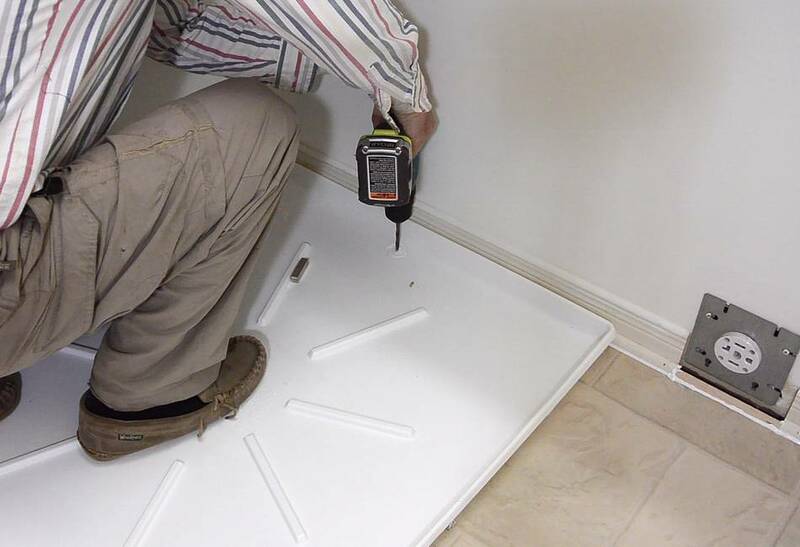 Here I used this trick to check the drain hole location for a washer drain pan before drilling the hole. 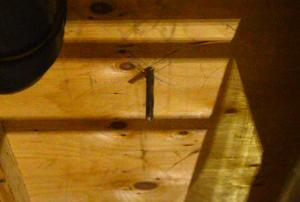 I wanted to make sure the hole wasn't going to be on a floor joist. I placed the magnet where the drain hole was going to be, with North/South facing up/down. Then went to the basement and used a compass to find the spot where the magnet was above and marked the spot with an X.
I first drilled a pilot hole. The drill came out exactly where I marked it based on checking with a compass! Of course, nails in the floor or wall could throw this out a bit, but not by a lot. If the compass was homing in on a nail, you could tell that it changes direction very quickly as it moves, as in, whatever it's pointing at is very near. 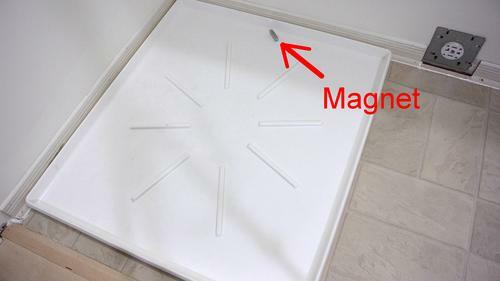 Though for the nail to become passively magnetized by the magnet it would have to be very near to the magnet to begin with, so it would not throw things out by that much. 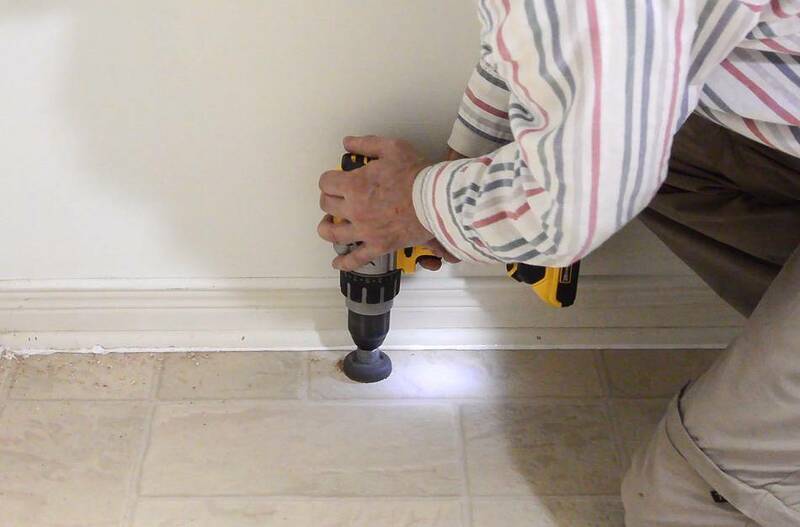 I followed up with a hole saw to drill out a 2" hole for the spout of the drain pan. Then put the drain pan in place. there's no plumbing attaching to the spout. 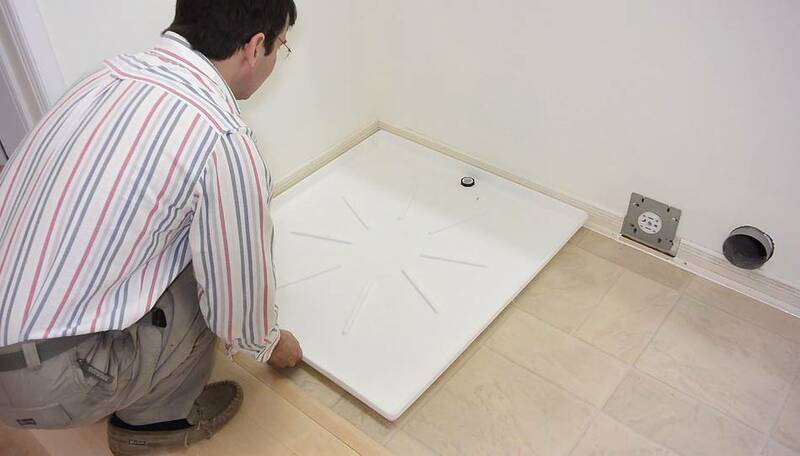 The idea is that if the drain pan were to fill with water from a leaking washing machine, we'd rather have it drain onto the basement floor than spill over onto the floors on the main floor. The main point here is that a magnet and compass can be very useful for working out alignment through walls or floors without drilling a pilot hole to check.